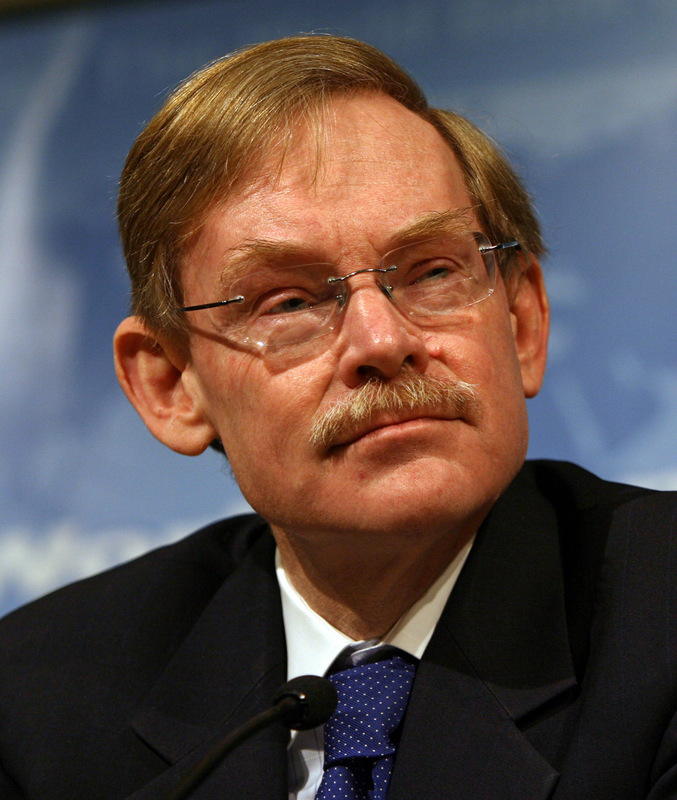 Robert Zoellick is an esteemed American economist and former President of the World Bank. During his term the bank’s capital stock expanded and lending volumes increased to help member countries deal with the global economic crisis. Since July 2012 Robert has been a Visiting Fellow at Harvard University’s Kennedy School of Government. Before joining the World Bank, he served as Vice Chairman of the Goldman Sachs Group and Chairman of the Goldman Sachs Board of International Advisors. From 2006 to 2007 he served as Deputy Secretary of the US State Department. From 2001 to 2005, Robert served in the US cabinet as the 13th US trade representative. He enacted or completed free trade agreements (FTAs) with Jordan, Chile, Singapore, Morocco, Bahrain, the five countries of Central America and the Dominican Republic, and Australia, quintupling the number of countries with which the United States has FTAs. He worked closely with the US Congress to pass Trade Promotion Authority, as well as preferential trade arrangements with Africa, the Andean countries, Caribbean states, and all developing economies. From 1985 to 1993, he served in senior positions at the Treasury Department and the State Department. He was briefly Deputy Chief of Staff at the White House and assistant to the President. Book Robert Zoellick as keynote speaker at your next event or conference. "A world-leading expert on trade and development, Robert is familiar with trade policies in the Americas, Europe and Asia. He was the lead US official in the “Two-plus-Four” process of German unification in 1989–90 and the “sherpa” to the President for the preparation of the economic summits in 1991–92."